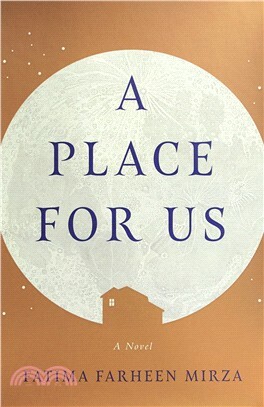 The inaugural acquisition for SJP (Sarah Jessica Parker) for Hogarth, A Place for Us is a masterful portrait of a family caught between two cultures, and a resonant story of faith, tradition, identity, and belonging from a gifted young storyteller. Fatima Farheen Mirza’s masterful debut novel gathers together the lives of an Indian Muslim family in California on the eve of its eldest daughter’s wedding. As Hadia’s marriage—one chosen of love, not tradition—brings the family back together, her parents, Rafiq and Layla, must come to terms with the choices that their two daughters, and their estranged son, Amar, have made. In a narrative that spans decades and sees family life through the eyes of each member, A Place for Us charts the crucial moments in the family’s past, from the bonds that hold them together to the differences that pull them apart. And as Hadia, Huda, and Amar attempt to carve out lives for themselves, they must reconcile their present culture with their parents’ faith, tread a path between the old world and the new, and learn how the smallest decisions can lead to the deepest of betrayals. This is a deeply moving and resonant story for our times: a masterful novel of love, identity, and belonging—one that eloquently examines what it means to be both American and Muslim—and announces Fatima Farheen Mirza as a major new literary talent.